Workers belonging to the UN agency United Nations Relief and Works Agency (UNRWA) for Palestinian refugees in west Asia embarked on a two-day strike in Gaza on Tuesday in protest against the decision to cut jobs and stop some of the agency’s programs as a result of a shortage of funds. The recent decision by the Donald Trump administration to stop American funding to the agency has directly led to this crisis. The UNRWA operates more than 270 schools with over 280,000 students in Gaza. It also provides other important, essential services through the health care centers and food distribution offices it operates. The strike was called after 250 jobs were cut in both Gaza and the West Bank, with 500 other workers being made to shift from full-time jobs to part-time ones. 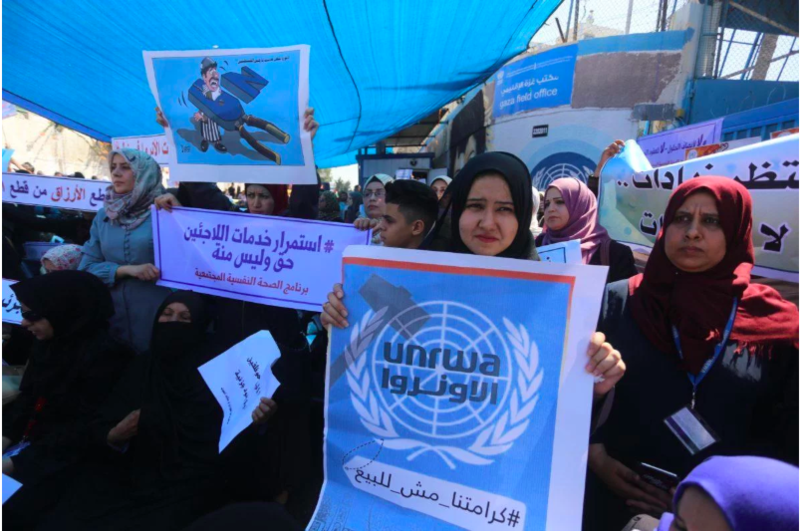 In the days leading up to the strike, the workers who had lost their jobs tried to prevent other staff, including those from other countries, from entering the UNRWA headquarters. On Monday, some members of the agency’s international staff were temporarily withdrawn as the agency had concerns about their safety and security. According to a source, only six out of the total 19 foreign staff stayed back. Regarding the safety of the agency’s staff, a Hamas official stated that no Arab or foreign staff had been harmed in the strip. He added that Hamas supported the demands of the employees. The UNRWA has been dealing with a severe financial shortage since August when the US government withdrew more than $300 million of its planned 2018 funding. The agency was pledged $118 million in donations last week, but it still faces a deficit of $68 million for this year, besides having to worry about meeting its massive $1.2 billion annual budget for the next year in January. The UNRWA was created in 1948 and provides aid and essential services to about 5 million refugees across Jordan, Syria, Lebanon, West Bank and Gaza. Most of these refugees are descendants of more than 750,000 Palestinians who were expelled and displaced from their homes and lands in 1948 during the founding of the state of Israel. The UNRWA employs around 13,000 people in Gaza, where more than 75% of the approximately 2 million Palestinians are aid-dependent.